R. Kelly had a community of people who not only helped him, but they protected him. These people worked for R. Kelly and enabled him by not contacting the police, assisting Kelly in his exploits and going as far as forging documents to make illegal actions look legitimate. Should be these people be held accountable for their actions along with Kelly? What contribution does this have to the cycle of abuse in your opinion? What are your thoughts regarding the people who helped him, especially with the underage girls? The idea of a being a chronic abuser is similar to the cycles of being an addict and with both scenarios the abuser or addict almost always has an enabler. 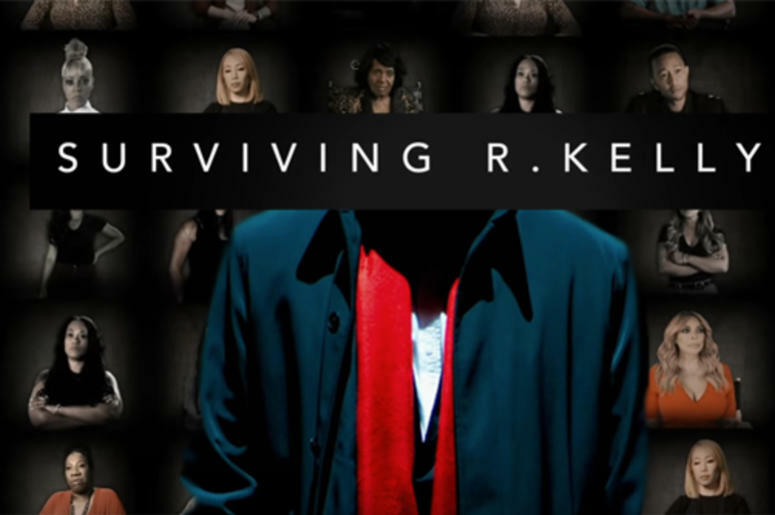 While watching the Surviving R. Kelly documentary, you come to find the artist had plenty of assistance in granting himself access to these young ladies. From allegedly forging marriage license for, singer Aaliyah to marry R. Kelly at the tender age of 15, to his manager walking into the studio and observing that there were beds in the studio and several underage girls, as well as his security back tracking and approaching someone his saw, and either giving the young ladies his number or driving them to the hotel that Mr. Kelly was staying in. Every single one of these individuals were aware of the inappropriate actions that were taking place, yet they did nothing to stop it. First, let’s establish that according to the documentary almost all the women were free to go at any point they chose. There were a few women who stated, when they were tired of the alleged inhumane conditions in which they were living, they left. What did happen was a form of physiological warfare, many claimed to be brain washed into thinking that no one wanted them besides R. Kelly and their families no longer loved them and he was all they had. Sadly, R. Kelly’s, enablers only feed these notions. The ringing question is, can these individuals be held responsible for what they did and did not do. As for the individuals who actively participated in assisted R. Kelly to have access to tender age girls, there are currently no standing conspiracy statutes or laws that can be enforced in the area of civil law. As of now, conspiracy only comes into play when there are criminal actions. These individuals can be crucified in the court of public opinion but unfortunately not in a court of law. As a society, if we decide that this is something that should not take place moving forward, we need to lobby our appropriate congressmen and officials to be able to get stronger laws to deter individuals and give them a consequence for that type of behavior. In this scenario there was a financial interest that helped these enablers make the decision to turn a blind eye to what was taking place. This is not just related to this situation of abuse, there are many people in the world that chose to look the other way because they can make an extra dollar by doing to. This is currently the state of the world that we exist in and if it’s going to change, it has to start with us and our individual minds and our minds changing collectively that will make those changes. Until we improve our awareness of what we value and what we see as important, things such as what is happening with R. Kelly will continue to manifest in the world. We have to change our minds and stop accepting what we see and thinking that we don’t have a say so in what that it. If you need any advice for family legal concerns, please contact the a licensed attorney in your county.